Cream comes in a wide shading of this color from very dark cream that's almost an apricot to a nearly white. Cream is a fading color, they will lighten from birth until around 2 years of age. Some keep the cream shadings to ears and the cream cross down the back and shoulders, many do not. 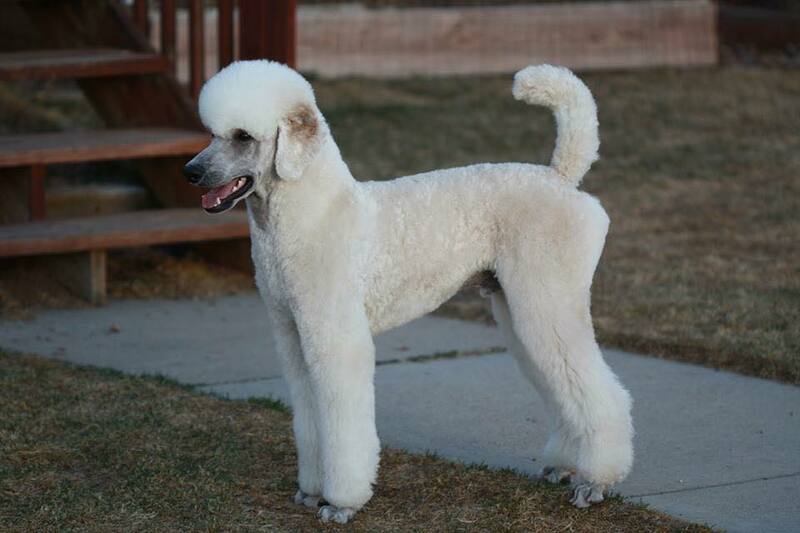 The Cream Poodles must have black points. Creams are often born with lighter pigment that darkens a week old to back, some take up to 8 weeks to turn black. As dark of an eye as possible is also preferred. Brown or self colored points in a cream is a fault and they can not be shown. 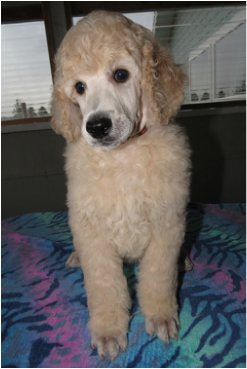 Lighter pigmented dogs are more prone to sun burning and light sensitive eyes. ​Creams can get a winter nose, or loss of pigment in winter, this is not the same as a brown nose. Here you can see a brown pigmented cream, she also has age spots on her nose. Note the light eyes to match. 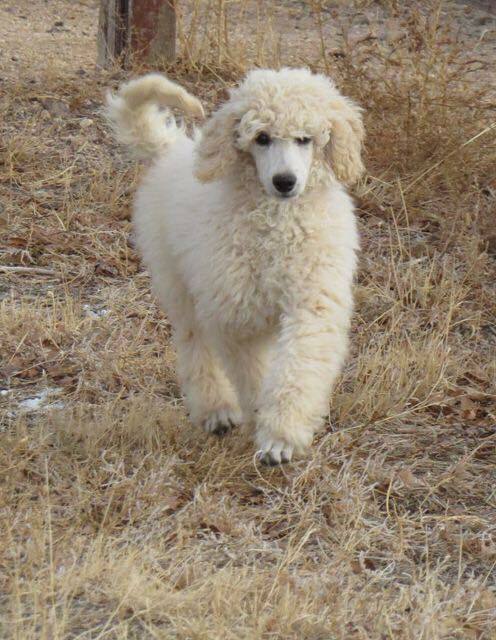 True whites are probably the rarest of the poodle colors. 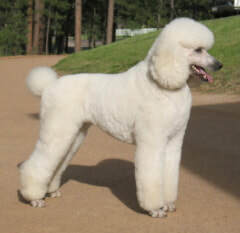 A white poodle is born white, they may have some light cream shading on the ears but this will quickly fade. 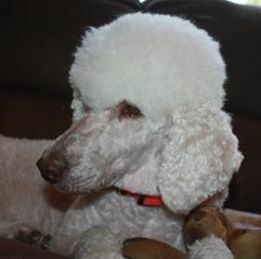 The White Poodles must have black points. Whites are born with black pigment. As dark of an eye as possible is also preferred. Brown or self colored points in a white is a fault and they can not be shown. Cream vs White puppies, shown around 8 weeks.